It is very common problem to detect when an analog signal changes its value from positive to negative or vice versa. Zero cross detector is used to solve this kind of problems. Zero cross detector is Kind of Voltage comparators used to detect the change in waveform. Zero crossing is the cross of the waveform from positive to negative and negative to positive. This crossing is normally called the zero crossing because it pass through the zero line in polarized analog waveform having positive and negative values. 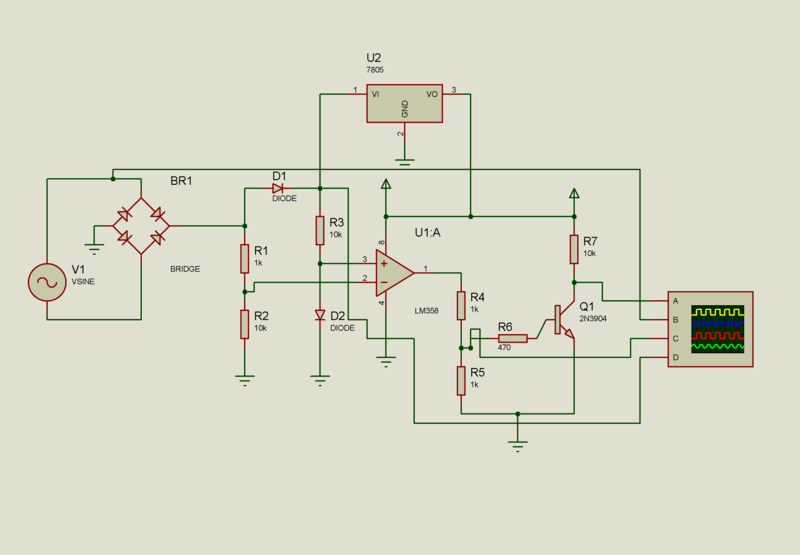 There are many type of ways to create zero cross detectors from which the Op amp based method is very useful as It provide many edges over their competitive methods. Opamp based zero cross detectors are mostly used in industrial grade applications. As I had mentioned earlier that the zero cross detection method is kind of comparing values it clearly states that we use Operational Amplifiers in comparator mode and check the when the value changes from the one polarity to other polarity. 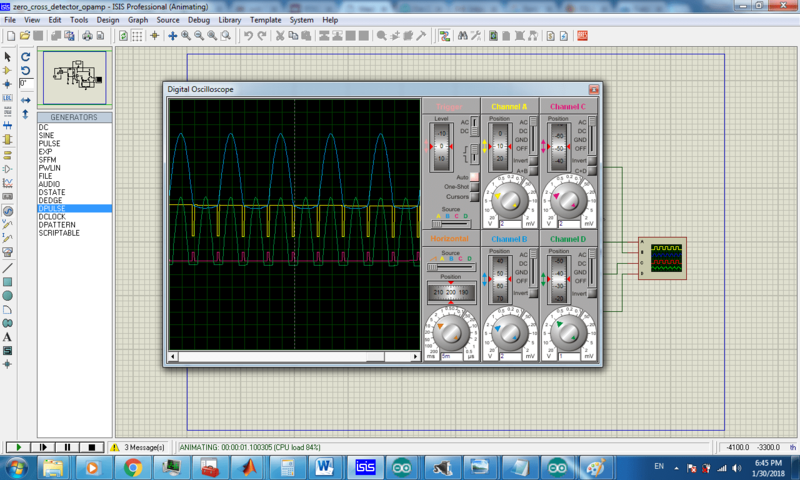 This comparator gives a square wave type output. When we want to interface our zero cross detector with microcontroller, which is the most common case now days, then it is very important to have just pulse indicating the change of zero crossing. As whole square wave is not much useful. To solve this problem we add a positive edge detector circuit after the output of operational amplifier so that we get only pulse indicating the zero crossing occurs. By using this pulse we indicate our microcontroller to do the task we want to perform after zero crossing, and using this combination we get the instantaneous point indicating no voltage state of alternating wave form.